A study finds that of the 100 highest-paid CEOs in the US, twenty-nine of them received more compensation than their companies paid in federal income tax. Is corporate CEO pay really out of control? Well, consider Fleecing Uncle Sam, a new report from the Institute for Policy Studies and the Center for Effective Government. Of the 100 highest-paid CEOs in the US, the study finds, twenty-nine of them received more compensation than their companies paid in federal income tax. Take American Airlines, for example. CEO W. Douglas Parker took home $17.7 million in total compensation in 2013, while his company received a $22 million tax refund. It makes you wonder. After all, American didn’t have a lot of income on which to pay taxes—the company’s pre-tax income in 2013 was negative $2 billion—so is AA sending us a message that tax avoidance, and not air transport, is their real business? Parker certainly piloted his company to be more success at the former than he did the latter. But the heavyweight champion of corporate tax refunds is JPMorgan Chase, which earned more than $17 billion in 2013 in pre-tax income. Their tax “payment” took the form of a $1.3 billion refund. How did this happen? How can this all be above-board tax avoidance, not unlawful tax evasion? When it comes to avoiding taxes, American corporations have a veritable salad bar of helpful (and legal) techniques, including inversions and tax havens. But perhaps most galling are “extenders,” subsidies and tax-breaks handed to them by Congress. Every year or two, with little or no debate, Congress votes to extend fifty-five of these tax breaks, with 80 percent of them benefitting corporations. “Rather than handing out more perks through the ‘tax extenders,’ Congress should focus on cracking down on tax havens, eliminating wasteful corporate subsidies, and closing loopholes that encourage excessive CEO pay,” says Sarah Anderson, IPS Global Economy director and another report co-author. And then there’s Boeing. CEO W. James McNerney Jr. took home $23.3 million last year—well deserved, if the standard was wrapping Uncle Sam around his finger. Boeing received a tax refund of $82 million in 2013, while at the same time winning $20 billion in government contracts. Between 2008 and 2012, the company received $603 million in research-and-development subsidies. 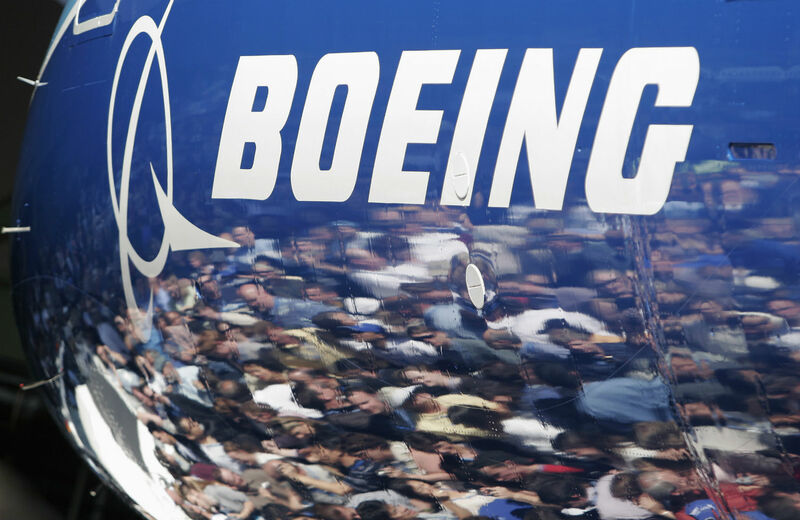 This largesse is outrageous, perhaps only ending when Boeing and its corporate brethren pay so little in taxes that Uncle Sam doesn’t have enough cash to allot their customary refunds, subsidies, and contracts. When the federal government pays, we all pay. This is, of course, a government of the people, and these are our elected officials; when Congress engages in such epic bootlicking, we all get stuck with the bad taste in our mouth. We’re also stuck with the opportunity costs. The study reports that if seven giant corporations—Boeing, Chevron, Citigroup, Ford, General Motors, JPMorgan Chase and Verizon—had paid the statutory corporate tax rate of 35 percent, they would have owed $25.9 billion. Instead, the seven companies received a combined $1.9 billion in tax refunds, a difference of $27.8 billion. What might have been? What could we do with that lost tax income? How about running the VA for two entire months, the study asks. Or resurfacing 22,240 miles of four-lane roads. Or Universal pre-K for every four-year-old in the country. Three hundred and seventy-seven thousand more public school teachers. The list goes on and on. Congress can fix this. A handful reform bills have been introduced, including Sen. Carl Levin’s (D-MI) Cut Unjustified Tax (CUT) Loopholes Act, Senator Bernie Sanders (I-VT) and Representative Jan Schakowsky’s Corporate Tax Fairness Act, as well as several bills to stop corporate inversions. As the report says, “The American people increasingly understand that what’s good for General Motors and its CEO is not necessarily best for them.” We need to convince Congress that it’s not best for them either.